As specified for UK military use and still serving with the respective RAF, RN and Army historic flights. Not an acceptable configuration for UK civil certification, but permitted to fly ‘unconverted’ in Australia by bespoke Flight Manual Ref. DH TMk10(Australia). Manufactured with 9 Imperial Gallon fuel tanks. As specified for Export military use. Not an acceptable configuration for UK civil certification. Manufactured with 9 Imperial Gallon fuel tanks. Build standard when manufactured for purely civil use. 12 Imperial Gallon fuel tanks. Flight Manual Ref. DH Chipmunk 21. Ex-military T Mk 10 converted for civil use in accordance with drawing C1-G73. 9 Imperial Gallon fuel tanks retained. Flight Manual Ref. DH 2.2. Ex-military T Mk 10 converted for civil use in accordance with drawing C1-G73. Modified to embody 12 Imperial Gallon fuel tanks. Flight Manual Ref. DH 2.2. Ex-military T Mk 10 converted for agricultural flying as a single-seater. 9 Imperial Gallon fuel tanks retained. Flight Manual Ref. DH 2.2. We hold no data on alternative engine options, modifications for advanced aerobatics, or the installation of Masefield/Bristol cockpit canopies. However, DHSL can supply Flight Manual Ref. DH 2.3 for Chipmunk Mk 22 or Mk 23 aircraft fitted with Lycoming 0-360 engines. To check the availability and current issue status of all our publications, including those for the Chipmunk, please click the Publications - Status and Prices button for details. By printing the Order Form, which when completed should be sent by mail or FAX to our address or contact number. Alternatively, you can order on-line (For security reasons, details for payment by credit card should be submitted by mail or FAX). For further payment options click here for information. A full e-commerce option will follow shortly. The index of H-prefix Design Authority Modifications is available at PDF Downloads. Further information, including Modification Leaflets where applicable, is available from DHSL. Please note that our archive is unlikely to contain details of modifications raised independently of DHSL or its predecessor Type Design Organisations. Such modifications may also be proprietary to their originators. A de Havilland ‘Technical News Sheet’ (TNS) corresponds to the industry-standard Service Bulletin, and may likewise be given mandatory status by a National Aviation Authority. Chipmunk owners and engineers must refer both to TNS and to the Maintenance & Repair Manual, and should read one in conjunction with the other. The index of current TNS is available at PDF Downloads. In view of their airworthiness significance, TNS CT(C1) No 138 and its associated forms - for management of Chipmunk airframe fatigue lives - are also available via free downloads. 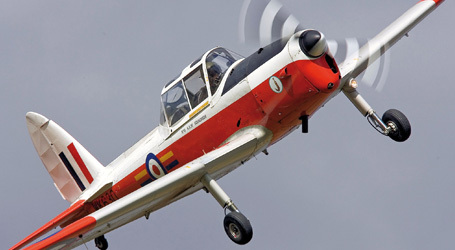 We stock an expanding range of recent new manufacture Chipmunk airframe components, especially fatigue-related items or those which may require renewal after inspection. 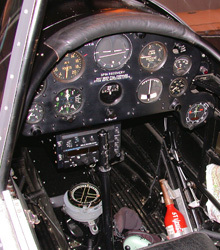 Examples are fuselage tie-bars, wing attachment bolts and links, flap latch plates and flap cables. All new parts are supplied with approved release. Also available is a considerable stockholding of OEM spare parts, from new ribs and trailing edges to boxed mainwheels. Pending our full listing, please e-mail with your needs.